Welcome to St. Mary Catholic School! Since 1958, St. Mary Catholic School has recognized that each student is a precious gift from God whose eternal goal is heaven. Our students benefit from academic excellence involving a challenging curriculum that helps them reach their intellectual potential within school and beyond. Our students show their Catholic faith by accepting differences in a diverse culture and by aspiring to be outstanding members of society. 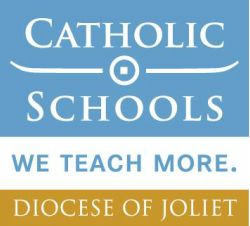 As principal of St. Mary Catholic School, I am blessed to see daily the joy of our students, the commitment of our families, and the dedication of our educators. Please join the St. Mary Catholic School learning community for Mass every Tuesday and Thursday during the school year at 8:00 am.